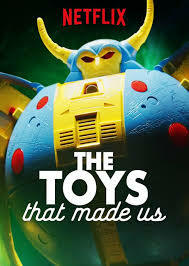 Unless you've been living under a Rocklord or something, you're probably well aware of the new season of 'THE TOYS that made us' on Netflix if you're reading Zone Base. The much anticipated Transformers episode I hear (I haven't had a chance to watch it yet) is actually of particular quality. So good that despite having to cliff-notes some of the lines to fit the episode time, that a TF fan wouldn't have to 'well actually' at any point and amazingly gives the factual history of the Transformers lines (man, it gets told so wrong a lot of the times). Well, that's partially due to my good friend Ant who runs TFU, was actually served as a consulting producer on the episode. Congratulations Ant! I've always been proud to call you my friend, and I'm really happy and proud for you in this achievement! Now, everyone go watch the show! Since @toysthatmadeus Transformers episode is finally out, I can finally share that I worked on the show as a Consulting Producer. How did that come about? Listen below.